Happy New Year, and it's my sincere hope that you have a safe and happy holiday and that 2019 will be a great year for you for whatever goals you've got. 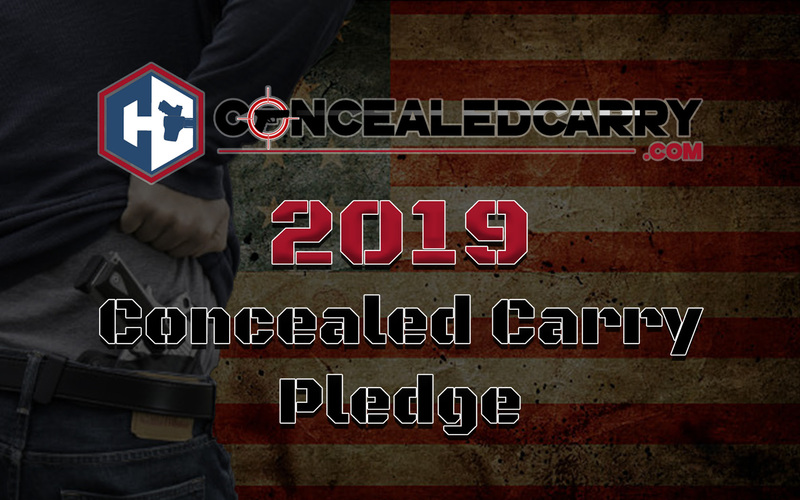 We've got some goals of our own over here at ConcealedCarry.com, and we'd like to extend our goals to you with our 2019 Concealed Carry Pledge. And, for doing so, and for taking the few minutes it'll take out of your hectic day to come along side us and take our pledge, we've got a little gift for you. I'm not going to mention what the gift is, here, but it does have an actual dollar value that you won't want to miss out on. You can find out more about your gift and how to take the 2019 Concealed Carry Pledge, here, or by pushing on the above image. It'll only take a couple of minutes and will be the easiest money you make today. Again, from all of us here at ConcealedCarry.com, have a safe and happy New Year. We advocate for lawful, responsible carrying. The pledge is written as thus.